John Kay: "Over the last half century, the evolution of the finance sector has led to the substitution of transactions for relationships. Long-term relationships have been reduced to short-term transactions. The outcome has been a sector which largely talks to itself, trades with itself, and has increasingly lost touch with the needs of the real economy for financial services. This process of financialization has created a hypertrophied sector, its activities ever more abstract and divorced from the real economy, successful mainly at multiplying the remuneration of its members. Finance has strayed dangerously from its core functions. And the functions themselves have been jumbled in dangerous ways (for example, with -deposit-taking becoming the funding source for uncertain, long-term risk-taking). Within each function, activities have moved from the primary to the derivative — less investing, more trading, fewer assets and more asset-backed securities." How to reconnect finance with society? That is the challenge here formulated by John Kay (London School of Economics, Financial Times). It is being taken up in a number of ways, by people in- and outside the financial sector. Three of these approaches shall be scrutinized during this seminar. Banks are very strange animals. Being a bank has to do with setting up a payment system, so it has a public utility function. But a bank must also be rather efficient, that is a very strange combination. Therefore, there is need for a rather stringent risk management policy. Looking back at the Maas committee (2009) and the Wijffels committee (2013), various supervisory errors, internally and externally, were brought to light. The question is today: has anything changed for the better? Risk management policies can be developed internally, mainly by the supervisory board, or externally, by De Nederlandsche Bank or AFM. In the end, as a bank, you do not want the arrival of the external supervisors, like AFM. You want to solve it in your own house. Nevertheless, pre-crisis, risk management in the Netherlands, not only internally in the supervisory board, but also externally, was about just ticking the boxes. That is rule-based and supervision should be principle-based. Therefore, the Maas and Wijffels committees suggested some fundamental changes and first steps toward regaining trust. The decision what kind of a bank you are is taken by the supervisory board in communication with the executive board. What you see is that the supervisory boards were and still are not taking that responsibility and are thereby not fulfilling their function. Good risk governance is sadly not there yet. Good governance is the protection, the first line of defense; the second line of defense is of course the external supervisor. Society and finance will not come together if we continue only to discuss norms. Good governance comes from within. The starting point for that can and should be a properly functioning supervisory board. It is absolutely required that society and finance discuss the topic of values, the topic of purpose. What is it that we stand for and what is it that we find important? Society feels that here, banks should take most of the responsibility, but can it be the banks alone that bridge the moral gap? There is a stark need for a renewed moral dialogue between the financial sector and society. Of course any dialogue starts with the notion that it is critical to start listening to each other, and to try and understand the other. But that should already be the case, seeing that the social contracts have already been damaged as a result of the crisis and might even rupture completely if we would face another significant crisis. Some might even say that this rupture has already taken place, looking at the voting behavior of citizens today. We cannot waste our time in technical discussions, when it is really an issue of morals, of ethics and an issue of corporate social responsibility. 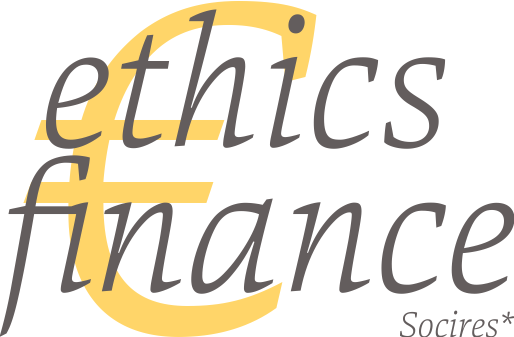 It goes beyond the financial industry and rather than stipulating a road of rules or technical solutions for supervision or whatever, we should talk about ethics. It is therefore not simply the task of a regulator to stick to the rules. A regulator, like the AFM, should leave the details on the side and stick with the principles; ensure that the right things are done. We need a regulator that is mindful, has some practical wisdom and has the ideal in mind. What actually is impact investing? It is investing one’s capital with a positive pathos, not just minimizing the negative impact but trying to make a positive difference. On the good side: we know where to go. Two years ago the sustainable development goals were announced, which is really a global strategy for future generations, such as social values and social entrepreneurship, as well as environmental values. Furthermore, the amount of capital going around in impact investment is growing, although still being a relatively niche market, with $100 billion of investments, out of $72 trillion of assets globally. What is the bad news? The acuteness and the urgency of global issues and the extent there is of anger and anxiety in communities and with citizens. In that market, where there is so much unrest, there is a need to actually go quite fast in shifting our financial system to regain that trust. We need to scale and we need to go fast. There is a dynamic where we are all still trying to fix the sailing boat, but we actually need a motorboat. We need to get into the next ship. We need to change the rulebook and need to put sustainable outcomes alongside to financial outcomes. That starts with a license to act from the top. This requires courage and courage is hard, especially in a world that is not necessarily incentivizing what we are all talking about today. What is missing in the whole responsible investing discourse? The debate about why we are doing it; why is the asset manager doing responsible investments? What is it that you are trying to achieve? We have to acknowledge that most of the responsible investing does not have a moral substance. It is a lot of money and it is growing every day – which is great, but that money does not have any foundation and does not have any substance. From a societal perspective, this question seems urgent. Both in history and current times, we see that it is possible to connect the quest for morale with impact investment. And it is a question that carries logic. Because why does impact investing need a moral substance? 1) It enables moral trade-offs. We cannot accomplish all seventeen sustainable development goals at the same time; choices are always to be made. 2) You need to be able to take responsibility; explain why you are fighting for the good cause. 3) The way we achieve goals we set out to realize is just as important as the goals themselves. A clear example of this moral discussion is the debate on climate change and the financialization of pollution associated with it. If you are putting a price on pollution, in fact you say that if your wallet is big enough you can pollute whatever you like. But, we only have one planet, so what is the moral logic of that? A lot of the financial problems we currently face have to do with the way in which economists model behavior. They use a very non-relational model. We have to look critically at this way of conceiving human behavior in economics, for example in education. We teach a view of men that resembles a hawk; instead we should have more balance between the image of the ferocious hawk and the caring dove. Teachers are afraid that the poor kids will be eaten when they’re not hawks, but unintentionally this creates very suspicious and perhaps even selfish kids. This view of men also leads to governance that is out of balance, since people tend to focus too much on the hard institution (regulation and control) and not on intrinsic motivation (reciprocity and identity). Restoring this balance leads to a more relational view of men. The big miracle of economics is that one plus one is three: my gain does not have to be your loss. That miracle is actually based on two foundations: 1) the more different you are, the more benefits you can have of each other. I have something that you do not have and you have something that I do not have. 2) Here, morality comes in: it only works if both parties have enough trust in a shared gain, profit for both. If there’s no trust, some parties will not participate and the value will not be created. This is what economics is about. This goes for economic theory as well as for the financial sector specifically. Finance is extremely important: it creates a relational infrastructure, where money and risk can be shared and traded. But why does imbalance arise? Because there are two major problems with the human capacity: rationality and morality are limited. A capitalist society not only consists of the elements of competition and hierarchy. Instead, we have to acknowledge for reciprocity (friendship) and identity (norms and values). Furthermore, society is increasingly dynamic and interconnected. Still, our economic models basically assume that people are selfish and rational. How can we address a shift towards a more inclusive take on economic theory? 1) Equity: creditors share risk with debtors. More simplicity, less stakeholders, durable and illiquid face-to-face relationships (rather than transactions/contracts). 2) Relational culture: less control and less autonomy yields more life. We can never solve the problem of risk (safety paradox). Therefore: more vulnerability, less control, less diversification, more credit risk. 3) Changing culture and identity. A transformation from fear, skepticism, selfishness, towards faith, hope and love. Trust and value other people. How? With education and strong professional identities and cultures. In today’s political climate, people have the feeling that they have lost control, therefore it is urgent that we return to the human scale. There are trends in the wrong direction on what we call financialization. There is a disproportional rise in risk-taking. There is a rise of indebtedness and overleveraging, which in some cases we might call human greed. If these dangers materialize, they might have a negative impact on economic growth and the real economy. It leads to macro-economic instability and fragility and also growing inequality in income and wealth. Looking at IMF-numbers, there is still a growing amount of debt in the world. That debt mountain creates from a macro prudential point of view as well as from a micro prudential point of view major risks of insolvency and illiquidity. There should therefore be limitations on overleveraging and indebtedness. That means that we should also reduce the prevailing incentive for companies and private individuals to finance their activities with debt rather than with equity. This does not imply that we should simply overregulate the financial sector or forbid relatively new financial products, like derivatives. It simply means that we should keep a sharp eye on their possibilities and dangers. Therefore, it might have much logic to plead in favor of a larger role in the Netherlands of the credit unions. They are not new at all. These unions provide credit, to small groups of people who know each other. The amounts are not enormous, but they are able to play a useful role, because they combine cooperation with expertise. People who extent the credit are also experts in the field, they know what is going on and are no outsiders that have no idea of the business. The interest of the customers is being put first in these credit unions, because they know their customers and work as some kind of colleagues. They still try to make a decent yield, but it nevertheless works. - It is essential that we talk about the recent report by the Scientific Council for the Government (Dutch: WRR), with the title: ‘Samenleving en financiële sector in evenwicht’. It addresses both sides of the divide between society and financial sector, which we certainly have to discuss. - Banks, financial institutions and all attendees of this seminar should go out and debate. Because: where is society? What is society and how do you organize this? What is connecting with society? Do we have experience with connecting finance to society, what does communication like that look like? We need to talk also with NGO’s and trade unions. The theme of regaining trust should have a prominent place in the seminar’s program. There is broad distrust in society: with politics, media and all kinds of institutions, not just banks. Everything is connected. So trust in bank cannot be seen in isolation, it is part of a broader picture. Yes, we should blame the banks for what they have done wrong, but at the same time; they are not the only ones to blame nor they can solve this issue on their own. - Is finance at all disconnected from society? Because you might argue that finance is too connected with society. What banks and financial institutions do becomes of increasing importance to peoples livelihoods. For instance, if you look at a macro-economic level the Dutch households have excessive debts and this leads to instabilities, lower growth, and so on. Today, GDP is growing and the recovery from the crisis is well underway. Meanwhile, inequality is growing and real wages have been stagnant for years. People know well this might have a lot to do with the influence of financial institutions. In this way, if you look at the connection between the financial sector and society, if you look at it from a private debt perspective or macro-economic instability perspective, the connection might be too tight. That is what financialization is all about. This also touches upon the report of the WRR. - We are talking about a disconnection between finance and society, meanwhile we are living in a world that is more connected than ever. Digital and technological developments, like big data analysis and fin-tech, are still hugely on the rise. That could be a blessing and a curse. We need an inspiring agenda to address theses developments. That will definitely affect the development of relationships and trust. - Relationship banking is still needed at this juncture. There is clearly less customer contact, with many local banks closing down and people doing their financial business online. Is there still a place for relationships when banks transform to IT-companies? For example: can you assess risks on the basis of data alone, or is ‘real’ contact necessary? And do we regain trust with society when there is no contact at all? Looking at Rabobank, this idea has watered down. In the past, you were member of the cooperative bank, and only went to that bank. Now customers shop around for banks, looking for the lowest price. Banks need a new sustainable model, based on the stakeholders’ perspective that is linked to the designs of society. - Moral education is very important: we are in a moral crisis most of all. We all know how our world is highly individual and post-modern, without an objective morale. That brings forward the question: what is needed for the transformation of an individual? It is important to have a new method to teach people about economy, in which you do not emphasize only the maximization of profit, you also emphasize that economy has to do with inter-human relationships. But how does this knowledge go from the books into the hearts of the people? Where in the method of changing opinions or ideas about economy comes in the development of the human being itself, considered not only as a rational, but also an emotional being, with his desires and frustrations. This role of the individual might be the most important part of the chain in a community of economic, social and religious beings. - Connected to this is the question for ‘room’. People in organizations need room to experiment and to act out their ethical responsibility. New rules, regulations and ideas should not be confined to the people in the boardroom. How do we make room for responsible, ethically developed individuals in financial organizations that care for their environment and surrounding society? - The upcoming public conference should be: 1) future-oriented, 2) stimulate the right dialogue between financial sector, politics and society, 3) discuss the (responsibility) role of banks, 4) speak much more about education, morale and values, 5) seek a connection with the laypeople, 5) address digital and technological –interfering- developments, 6) address risk management and private debt. It is the role of the financial sector to give hope to people, so we need to get out of this situation where there is a lack of trust. There is need for an inspiring agenda of trust. 1 Apr 2019 | ‘Het goede leven en de vrije markt’ wint Socrates wisselbeker!